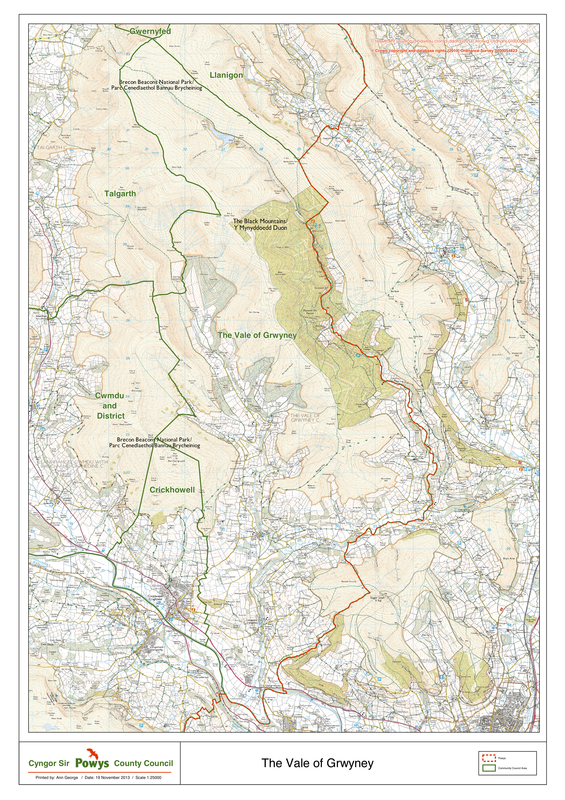 This map showing the Vale of Grwyney and parts of the surrounding area was kindly produced by the mapping section of Powys County Council, under licence from the Ordnance Survey. The red/green line to the right of the Community is also the county boundary between Powys and Monmouthshire. Green lines are Community Council boundaries within Powys. The dotted line following the hill to the right of the county boundary is the Welsh / English border along Offa’s Dyke. Click on the map to zoom in, then use your browser’s zoom facility to get even more detail.